So, I kind of skipped my favourites post for April as I surprisingly had nothing to share with you all. I was still using and loving everything from my March favourites and didn’t think anyone fancied reading the same post twice! May was different. I actually used some new things and fell back in love with some old things too! So let’s get on with it already! Picked this up in my May Birch Box UK and started using it before I’d even wrote my what’s in the box post! I was super excited to finally get to try this infamous hot cloth cleanser that had been winning awards left, right and centre! This stuff really lived up to the hype surrounding it and has had me looking more into hot cloth cleansing methods! Smells amazing and my skin felt so clean and soft afterwards, I’m tempted to treat myself to the full sized version! I’ve been working my way through a whole bunch of the Molton Brown minis I picked up in York back in March. The shower gel was easily my favourite, especially first thing in the morning. Your senses are blasted by the citrus giving you a huge energy and mood boost! It’s also packed full of skin loving nutrients and anti-oxidants. Molton Brown never fail to amaze me and make my showers a little more exciting! Picked this up in Barcelona when I realised I’d forgot to pack any eye make-up remover. It was so gentle, my eyes didn’t get irritated at all. It took a little longer to work on water-proof mascara but cleaned everything up nicely. I only wish I could have brought a bigger bottle home with me! Another Barcelona purchases from Sephora. As soon as I saw it I knew exactly what I was going to be spending my euros on! I’ve seen so many reviews and heard so many great things about this face mask that I couldn’t not go back to the UK without it! I’ve already gotten a couple of treatments out of this little tub and there’s still a ton to use! Very impressed so far, it really draws out the impurities and dries up any excess oil. My skin feels exceptionally pampered after using this! An oldie but a goodie. I started to get these really odd patches of dry skin so I decided going back to a fragrance free, no fuss moisturising. 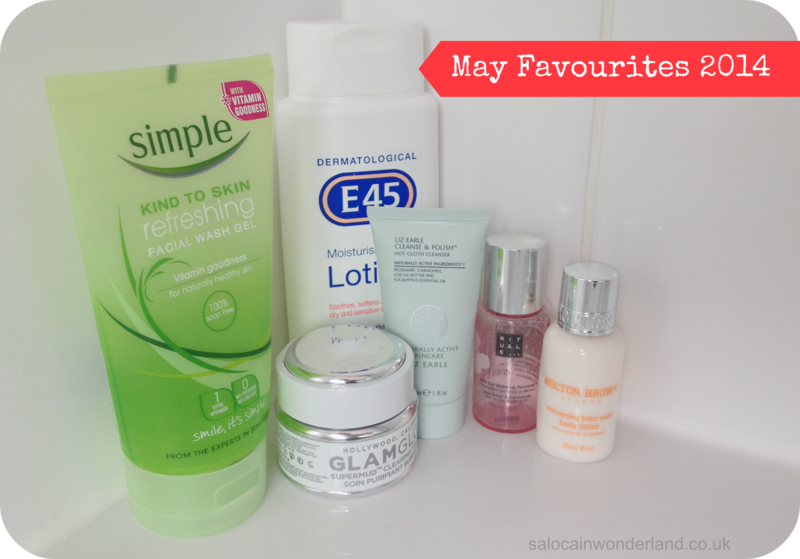 E45 is what you’d call an old faithful of mine and no matter how many fancy pants moisturisers I use, this stuff always finds it way back into my beauty drawer! I found myself using this once again when on holiday in Barcelona, and kept using it once I got home. Simple was one of the first skin care brands I really fell in love with, but you know how it is. You’re constantly looking out for the next best product and find yourself trying out all different ones, but always coming back to the ones you originally started with. I’ve been using this on and off for years. Sometimes it’s the best thing for my skin, other times it makes no difference. Right now is a good time and my skin has been loving this one! Started reading this a while back, it’s the Trilogy of Four and is taking me some time to get through but I’ve been loving it. It’s the perfect companion when sat commuting to and from work everyday! 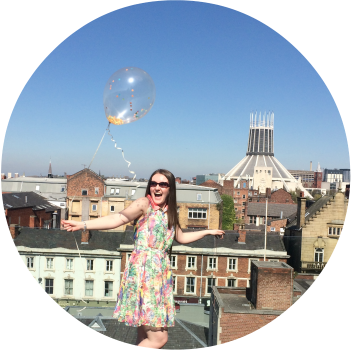 Who doesn’t wish they where off on a space exploring adventure instead of the Arriva to work? Not a tv show I thought I would like, if I’m honest! It sounded like a combination of Touch, Taken, and anything else that involves all American style kids under 10s with powers and more empathy than Mother Teresa. All that being said, I’ve actually gotten pretty into it. It’s nothing new or particularly special but it’s an easy watch and the characters are developing nicely. Nothing complicated (yet) and enjoyable so far! I feel like I’ve been waiting forever for the second season to start…and once it did I got so caught up in other programs that I’ve only just gotten round to watching it! I’m about 3 or 4 episodes in now and thoroughly gripped, freaked out and contemplating becoming a vegetarian after every episode! Very well written, superbly talented cast and visually, grotesque and gripping. As long as I have a pillow to hide behind and don’t eat any meat whilst I’m watching it we’re all cool! That’s everything I’ve been loving this last month, now what about you? Let me know in the comments below! E45 is one of the best moisturisers, it just does the job, no fuss about it! Reminds me I need to go pick up a new bottle actually! Hannibal! I haven't started watching the new season yet but I absolutely loved it when it was last on. I'm beginning to feel like eating a steak whilst watching Hannibal might be the most bizarre experience of my life but it's going to have to happen at some point haha! That actually sounds like a great idea, especially if the steak is pretty rare hehe! Season 2 so far is great, you need to catch up! St Ives is amazing, it is one of the best (and fairly priced) scrubs I have used. I agree with the comments above that E45 is so good. Well, doctors prescribe it for skin conditions so its obviously a trusty formula. That's true, if it's good enough for the Drs to prescribe then that's good enough for me! I love how it's fragrance free and just soaks right into the skin, I just get so caught up in samples and offers in Boots that I tend to veer off it for a while and try a whole host of other moisturisers. I always find my way back to E45 though!